With averages of 27 points, 16 rebounds and 5 blocked shots as a Senior in High School, one can’t help but feel his ranking could have been hampered by his not featuring heavily on the AAU circuit. With Sean Obi, Amile Jefferson, Chase Jeter, Marshall Plumlee another post player may seem as an over kill at this stage, considering Coach K loves a short bench. If you watch game tape, or in our case highlight film, you can see the intrigue he brings to the table. Best Case Scenario: Mitch McGary, who played at Michigan, or Tyler Zeller who played at North Carolina. 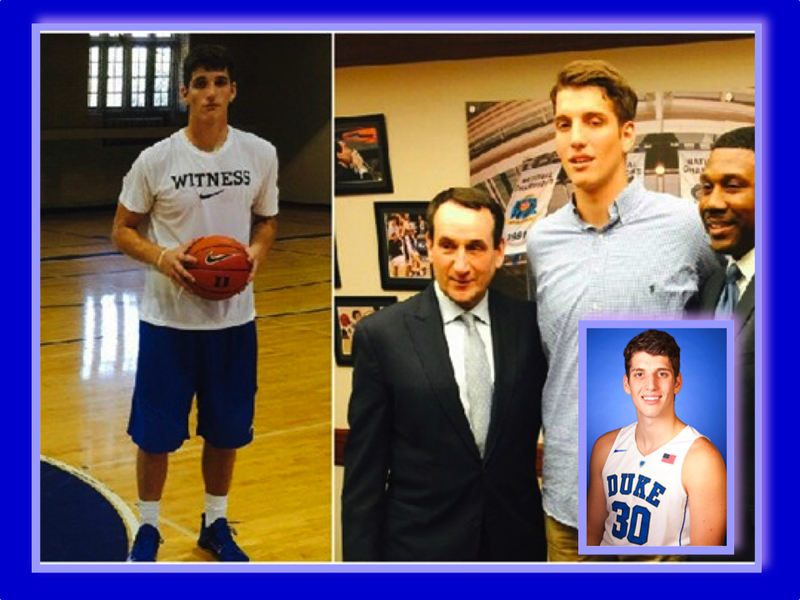 One can’t imagine Vrankovic being a featured player at Duke right now, but who knows what the future holds. He seems pretty agile for a big man, and the more he can push his teammates the better Duke will be overall. Brandon Ingram is the highest rated player in Duke’s 2015 Class, so there are some expectations that come with that title. Standing at 6’9” with a wingspan of 7’3” he is clearly a physically gifted individual that. Duke needs Ingram to play to his strength, which is scoring. Without Quinn Cook, Jahlil Okafor, Tyus Jones and Justise Winslow, the bulk of the Blue Devils’ scoring need to be replaced. Ingram is a multi faceted scorer, in that he can score off the dribble, shoot the Three, or score in the Post. Defensively Ingram should be able to be a lock-down defender. His foot speed is nothing to brag about but, with his length and reach, he should be able to either contain his defensive assignment, or recover in time to block or alter shots. Best Case Scenario: Many have compared Ingram to Kevin Durant, who played Power Forward while he was at Texas. It is easy to see this comparison and it has a lot of merit, as they are similar in measurements and size. We do see a little of Luol Deng in him too. Both are of similar height, however at this stage Ingram has more range on his jumper. Deng was a very good defender as well – something Ingram can aspire to, hopefully. Jabari Parker was a much bigger player, but one can imagine that Duke will use Ingram in the same manner. Worst Case Scenario: Harrison Barnes had a good two seasons at North Carolina, but there were long periods where he just completely underwhelming, because what he could do, and was doing, was miles apart. Duke will be a perimeter-based team this season and Ingram will be the star attraction. Coach K says that Ingram has added 23 pounds of muscle, since he arrived on Campus two months ago, which should help in the Post. There is currently no established go-to-guy, but Ingram should have plenty of opportunities to fill this role based on his raw talent, and the excitement with which his coach spoke of him. 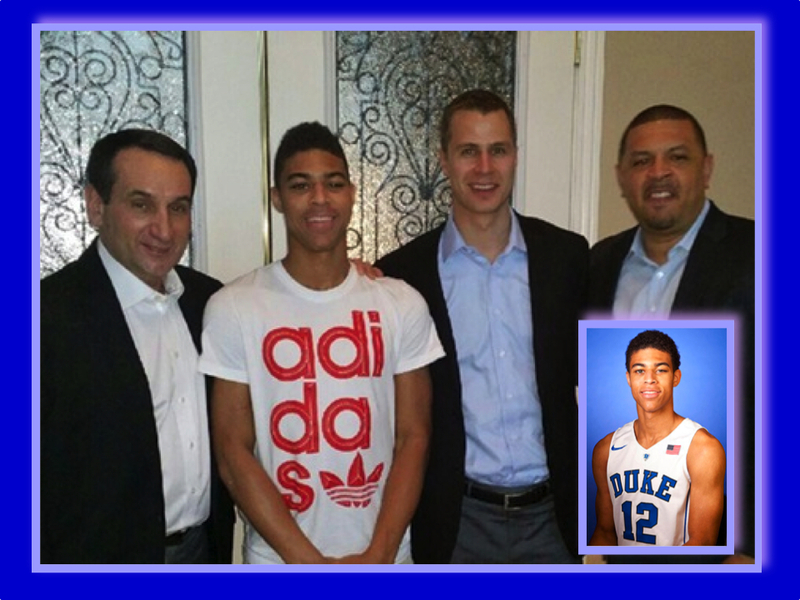 Duke will have only one prototypical Point Guard on the roster this season, and that will be Derryck Thornton. Thornton skipped his Senior year of High School, but he turned 18 last May so he should be mature enough to step into this role. He is a quick player that can finish with either hand in the Paint, preferably on floaters, and has a very good midrange jumper. He has great vision, but if his teammates aren’t aligned with him, it can result in multiple turnovers. Duke has a major vacancy at Point Guard and they are hoping that Thornton is the answer. A Point Guard is very crucial, especially this season where there is a shorter Shot Clock. Coach K didn’t exactly anoint his as a Starter at the recent press conference but Thornton is crucial none the less. Best Case Scenario: Thornton’s biggest strength is his ball handling ability, which reminds us of Kyrie Irving. He also is just as quick. Irving only played 11 games for Duke, due to injury, but he was exceptional from Game One. Worst Case Scenario: Quinn Cook is credited for setting the tone for last year’s team, however his transition to college basketball was as fluid as a ship in bad weather. Thornton will have to be good from Day One as the only Point Guard. Thornton will no doubt thrive best in a run-and-gun atmosphere and Duke certainly has the pieces for that. More often than not, opponents dictate to most college basketball offenses, which means there will be plenty of Half-Court Sets, especially in ACC play. Thornton will have to learn fast as he is already behind, being one of the later arrivals on campus due to his finishing up the requirements for his early enrollment. In basketball it helps to be as versatile as can be, but if you can master one skill very well it will take you a lot further, especially if it is shooting. 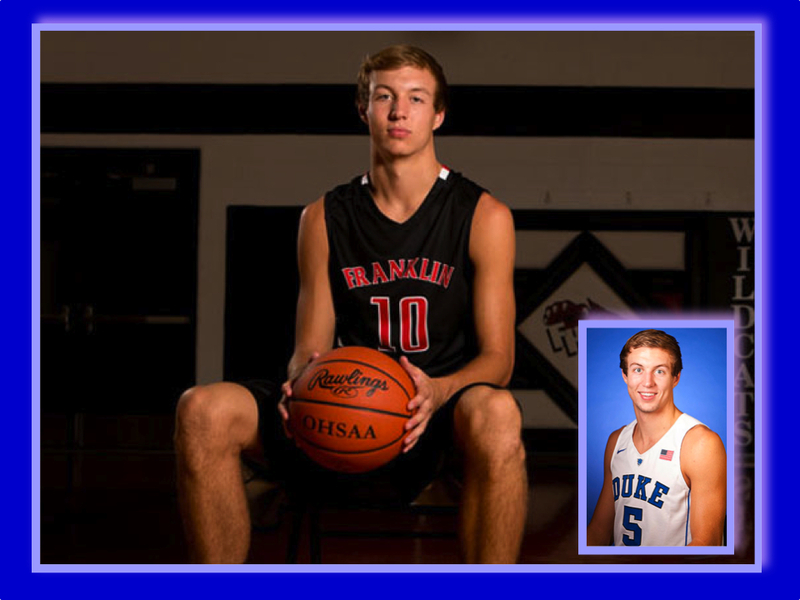 Luke Kennard can shoot the ball very well, but he is also a versatile player. At 6’5” he has great size for a Shooting Guard. He is more of a combo Guard accustomed to having the ball in his hands. Kennard’s role was all set until Grayson Allen blew up in the NCAA Tournament. Now it isn’t so certain. As a shooter there will always be a place for him in Duke’s offense, but Matt Jones and Allen are likely ahead of him in the depth chart, at the moment. One position where Duke can use him in is as a ball handler/backup Point Guard. Even though he is a great shooter he can also handle the ball and was accustomed to being the main facilitator on offense for his high school team. 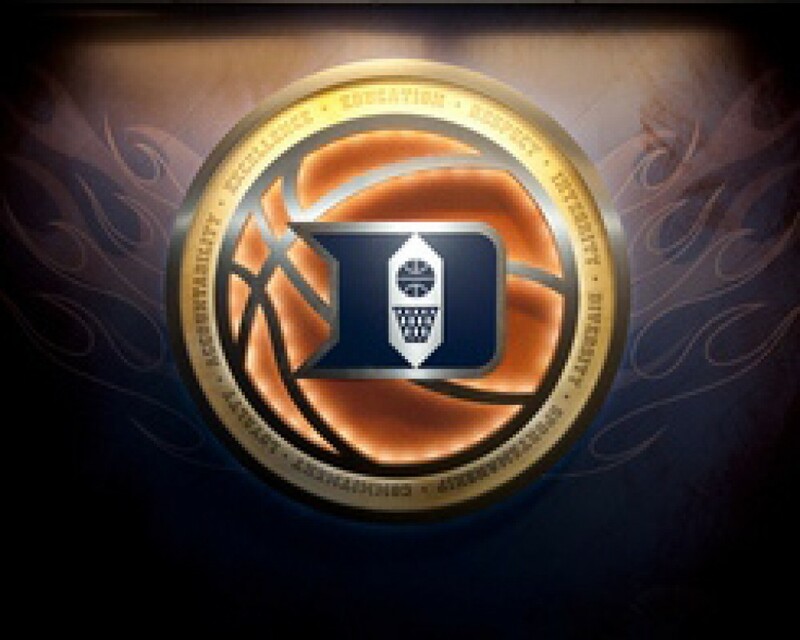 Best Case Scenario: The obvious choice is Jon Scheyer, who came to Duke as a Shooting Guard and, out of necessity, became the lead Guard during his Senior year, when he led to Duke the 2010 National Championship. Luke Kennard is a little more athletic and will throw it down if given just enough space. JJ Reddick is not a bad comparison either, in terms of shooting, but Kennard is much further ahead as a Freshman in terms of scoring off the dribble. At the moment Kennard may be the odd man out, but given the opportunity he will flourish. 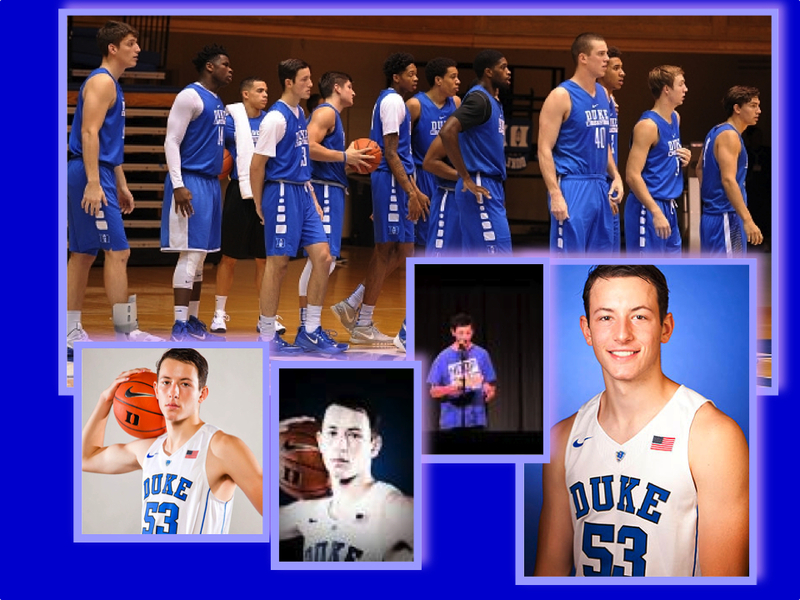 If he isn’t given a starring role from Day One, he will make his mark with the Duke faithful by season’s end. 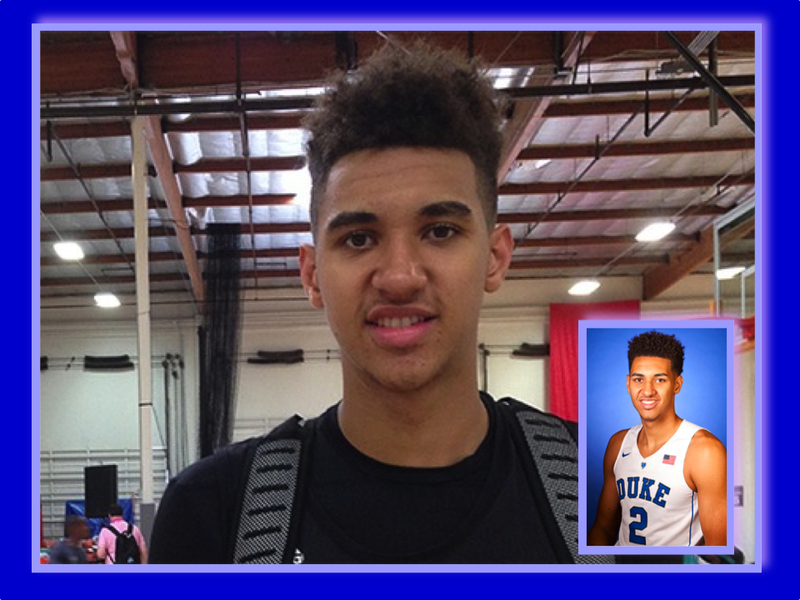 Chase Jeter is 6’10” and about 230 pounds and can play either Center or Power Forward. He runs the floor very well and can finish plays around the basket. Duke needs a low post target to balance the abundance of outside shooters they currently have. Seniors Amile Jefferson and Marshall Plumlee can score in the Post, but at this stage their consistency is questionable. We expect Jeter to be given every opportunity to fulfil this role. Who does he remind us of? ??? Best Case Scenario: A quicker more agile version of Shavlik Randolph, who is able to stay on the court avoiding foul trouble. Randolph was a great Post scorer but a liability on the other side of the court. Who remembers him going 6-for-6 against UConn’s front line during the 2004 Final Four game ??? Jeter has a similar length, better defensive awareness, and is no doubt much quicker. Greg Monroe is another player Jeter is being compared to, though Monroe is a lefty. The former Georgetown star was one of the best passing big men in college basketball during his time. 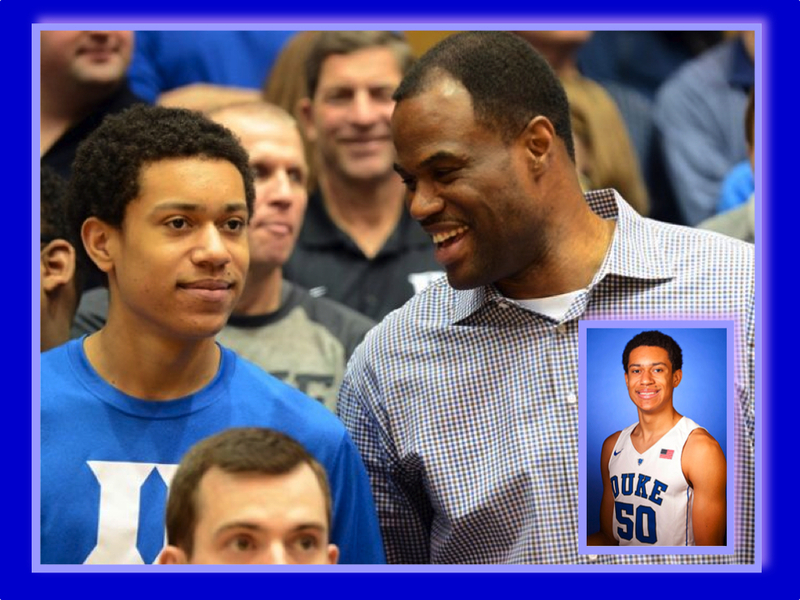 One can see Jeter blossoming into something similar especially with the talent Duke has on the perimeter. Worst Case Scenario: Josh McRoberts. At the season opening press conference Coach K said that, “… low Post scoring will be more opportunistic than with Jah, where it is planned.” So basically they won’t be running as much set plays to the Post as they did last season with Jahlil Okafor. So, if Jeter wants to stay on the court he will have to rebound, set screens and take advantage of every opportunity that comes his way to score. The better he performs, the more likely it is that his role will expand.